Managing turf to the consistent high quality demanded by today’s players creates artificial conditions that are all too often highly conducive to disease pathogens. 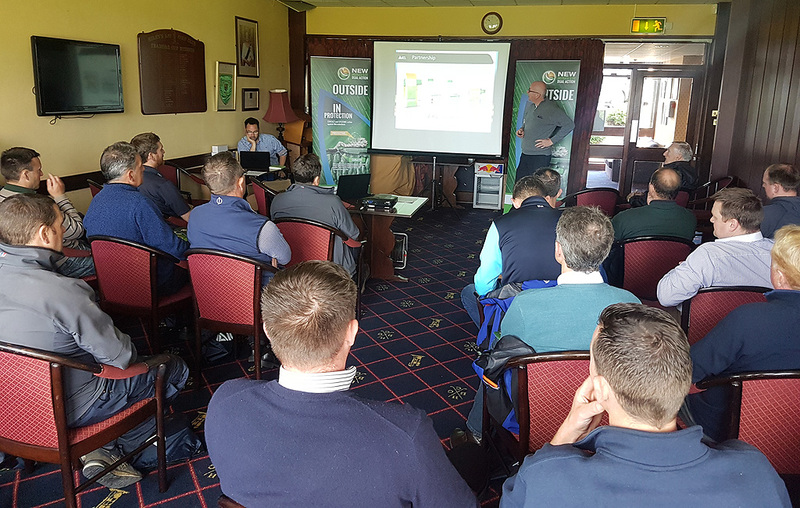 Speaking at a series of Workshops across Ireland, organised by ICL and Syngenta, Daniel Lightfoot highlighted that using all practical cultural control, in an Integrated Turf Management plan, can minimise disease risk. “But inevitably there will be times when turf will need added protection. 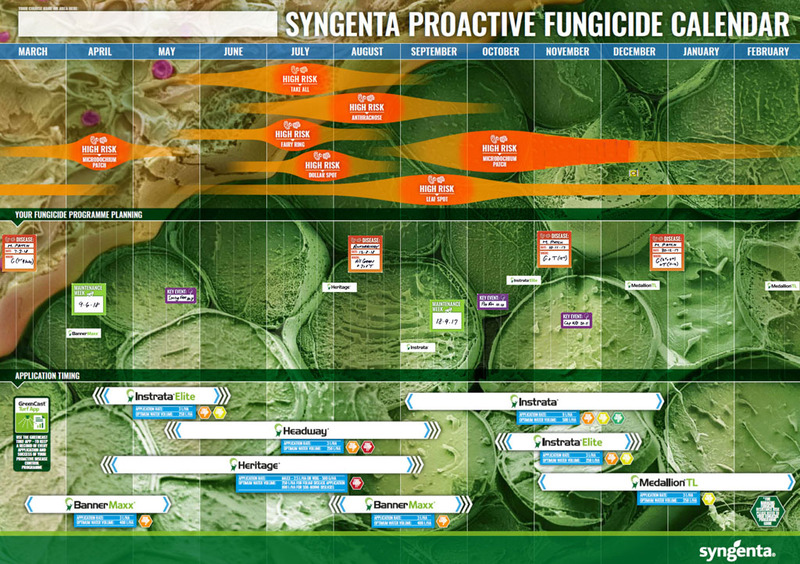 A new fungicide planning poster from Syngenta enables greenkeepers to mark out when and where disease is expected, and then plan in a fungicide treatment programme to counter the threat. 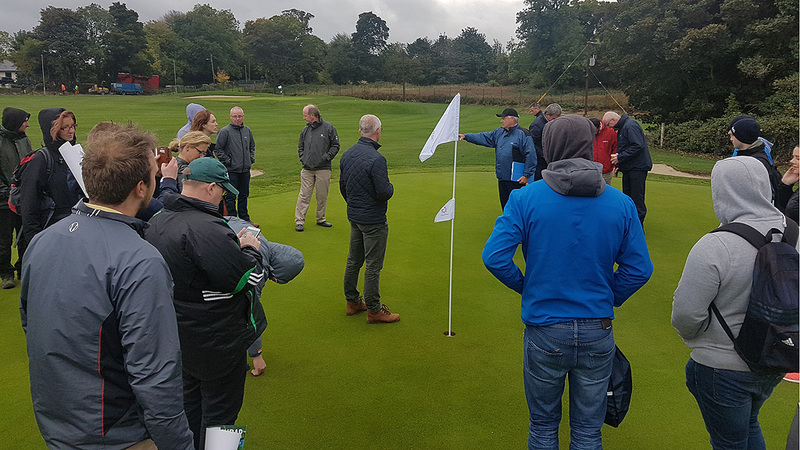 Designing programmes with superintendents during the Workshops, along with Henry Bechelet of ICL, Daniel identified that new Instrata Elite is integral to almost all programmes in Ireland. “One of the key advances with Instrata Elite is the ability to tackle a more dynamic disease population. Its combination of actives target Microdochium (Fusarium) both outside and inside the leaf," he advised. That gives greater flexibility for timing and long lasting protection – confirmed by independent research and on-course user trials across the UK and Ireland. These highlighted the ideal properties of Instrata Elite for autumn and spring applications in the programme, he added.